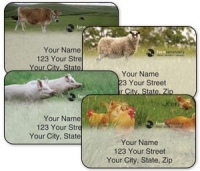 Handsome roosters, cute little porkers, cuddly sheep and - gasp - even Miss Piggy! 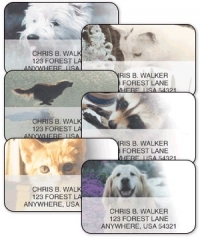 They are all part of the animals featured in this collection of labels. 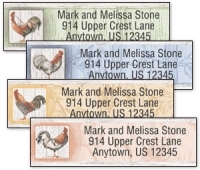 The lingering romance of life on the farm is found in a variety of labels that will enhance your letters and declare your sentiments favoring the rural life. If you prefer an artistic treatment rather than realistic photos, consider the drawings of Challis and Roos, whose simplistic renderings still catch the spirit of the barnyard. Pigs are popular, peeking over rail fences or apparently laughing at some private porcine humor. 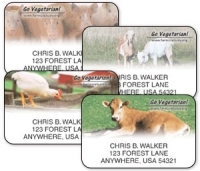 But labels depicting the particular beauty of cows, goats and sheep also are available.